Damask, breeder unkown, before 1551. See also ‘Alba Maxima’ and the Rose Wars, the internal struggle that raged in England in the period 1455-1485. The struggle was between two aristocratic parties, who placed themselves respectively behind the house Lancaster (emblem of the red rose) and the House of York (the white rose emblem). The houses York and Lancaster both descended from Edward III Plantagenet. 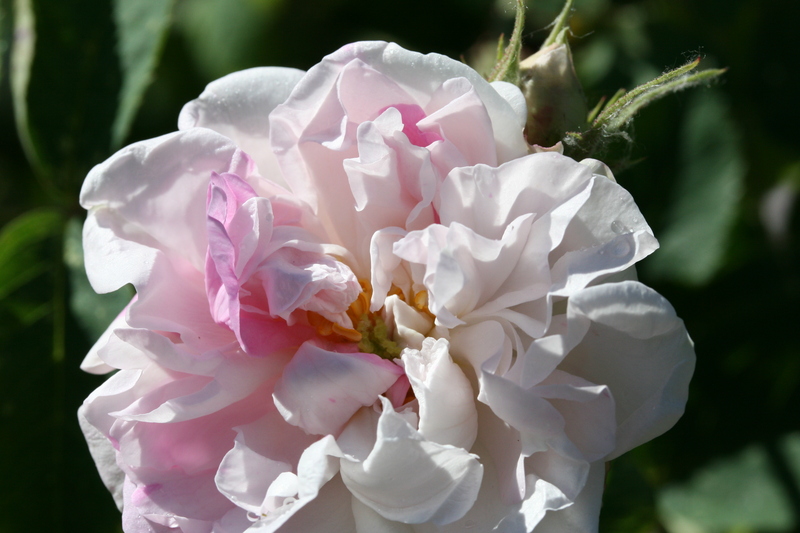 It is said that after the war a new pink rose symbolized the unity: this would be the Rose ‘York and Lancaster’, which in itself a rarity: a white rose which shows pinkish-red on random locations in the flower!